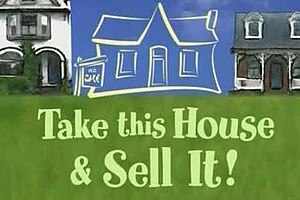 Bottom Line ~ Price It Right And It Will Sell! It’s so easy really…Price It Right And It Will Sell. Seven little words, but many homeowners can’t or don’t want to listen. Case in point, let’s talk about homeowner “Bob”. Bob is a young professional who purchased his home at the top of the market. Unfortunate as that is, no one had a crystal ball, his house is worth less than when he purchased it. Bob has a good job, he’s single, he doesn’t “have to sell”, but nevertheless, he would like to move to a different area. We know what he spent for the house, we sold it to him, and we know what it’s worth in today’s market. Bob considered all our advice, but wanted to list his house slightly higher than what he paid for it. We told him it would be a waste of his time, and although he trusts our judgment, knowledge and experience, he insisted on his listing price. Although we do not like to take an over-priced listing, and have actually walked away from them, we felt that Bob was a previous loyal client and decided to take his listing, with the understanding that he will keep it at this price only for a short while, and then we’ll talk again. Many homeowners are still a little slow to accept the concept that pricing is key to getting a house sold. If a house does not sell quickly, it will probably have multiple price reductions before it does sell. Bottom Line Is…Price It Right And It Will Sell! Fluctuating home prices: What causes this? Real estate prices are constantly moving up and down. Almost always, home values appreciate in the long term. But, of course, in real estate there is always a certain amount of risk. When your property appreciates you have more equity to borrow against, and you’ll create a greater profit when you sell. Property values in the area shift for many different reasons, so how do you know what you’re buying right now won’t depreciate the day after you close? The most important thing is that you select a real estate agent in your area who knows the factors that influence local prices. Location in a community – Most people want homes in the areas with the easiest access to features, such as our work and schools. So when it comes to retaining their value, these regions often appreciate better than others. Recent sales – Your real estate agent should provide you with figures on the recent real estate sales in the districts that you’re asking about. You’ll want to know average time on market, selling versus listing price and more. History of appreciation – In the last 5 to 10 years, have home prices increased or decreased? Does location or affordability affect how desirable the neighborhood is believed to be? Local economy – Is there a good blend of job types in an area, or does it count on just one industry? Have businesses moved into or away from an area? Are local businesses hiring? Each of these items plays a part.